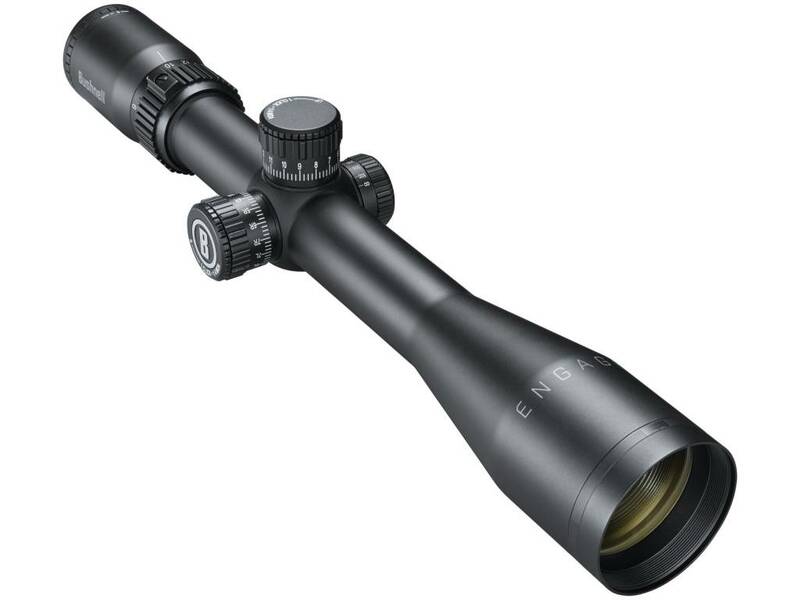 The engage riflescope represents the latest evolution in Bushnell optics. The Deploy MOA reticle features 1-MOA windage and elevation hashmarks and can reach short and mid-range targets. It adapts to various loads and calibers and is ideal for hunters and target shooters. Dialing in the scope is easy too, with Tool-less Locking Turret (TLT). The TLT also allows for Tool-less ZERO Reset. Bushnell's EXO Barrier takes the waterproof properties of RainGuard HD coating and improves upon it. EXO Barrier is added at the end of the coating process, and molecularly bonding to the lens and filling microscopic pores in the glass. The result is an ultra-slick coating that repels water, oil. fog. dust and debris. All of the air-to-glass surfaces on Engage riflescopes feature multiple layers of anti-reflective coating. Fully multi-coated optical systems deliver the brightest, highest contrast images with the least amount of eye strain because only a very small percentage of light is lost before it reaches the viewer's eye. This scope is O-ring sealed and nitrogen purged for total waterproof and fogproof protection. This allows the scope to withstand complete immersion in water and stay dry inside. The interior optical surfaces won't fog due to rapid temperature change or humidity. No tools or coins needed to operate the Tool-less ZERO Reset Locking Turrets. The nut on the turret holds firm with finger-tightening, and releases just as easily when it's time to zero in the scope. The Engage riflescope also has locking turrets that make sure you don't accidentally move it off zero or a pre defined adjustment.